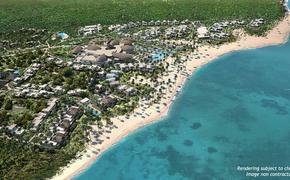 For travelers looking for a destination off the beaten path, Hilton Hotels & Resorts has opened its first property in Belize. The new Mahogany Bay Resort & Beach Club, Curio Collection by Hilton features 205 cottage and villa-style rooms across a 60-acre waterfront site with 10 distinct dining outlets, bay and beach clubs, plus meeting and event spaces. Other amenities include a grand pool, bar, poolside spa treatments, the private white sand Beach Club, golf carts, signature restaurants and more. “As we continue to grow our portfolio of Curio Collection properties across Latin America, we are proud to expand our footprint with Hilton’s first property in Belize,” Curio Collection by Hilton head Mark Nogal said in a statement. 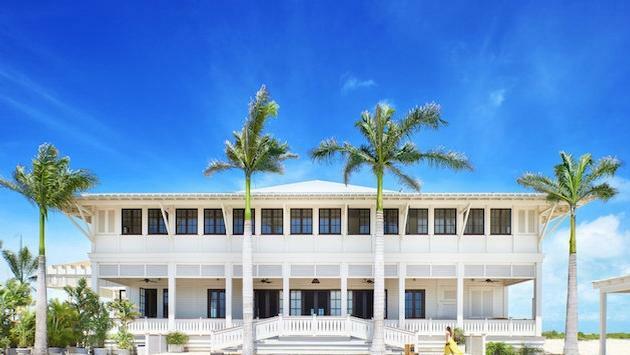 “As Hilton’s debut property in the country, we ensured that we attended to every detail of the resort from the accommodations and amenities to team member training and guest service,” Mahogany Bay Resort founder Beth Clifford said in a statement. The resort’s dining options include The Verandah (organic farm-to-table offerings and stunning sunset views), Hive (light and healthy globally-inspired bowls), JYOTO (sushi restaurant), Taco Shack (authentic Belizean tacos), Rum+Bean (Hemingway-inspired coffee and rum locale) and Mahogany Chocolates (organic chocolate and private chocolate-making classes). Mahogany Bay Resort is close to San Pedro and just 10 minutes from the local airport. Guests are also a short distance from unique experiences like exploring the Belize Barrier Reef, diving, snorkeling, fly fishing, paddle boarding, bird watching and more. For travelers looking to partake in a few alcoholic beverages during their next vacation, they will be able to enjoy Stirred (a mixology bar), Shaken (outdoor bar overlooking the Bay Club), Gadfly’s (a speakeasy social club) and Dirty Martini (a tapas bar).